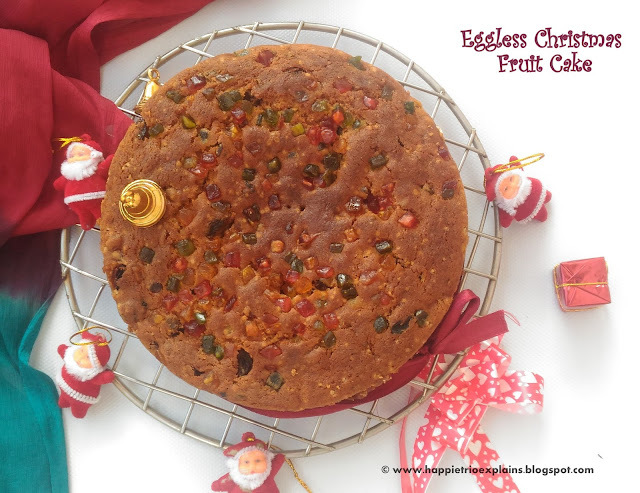 Christmas and cakes always comes together .so I thought this would be the right time to share the Christmas fruit cake .Last year for Christmas I have shared the Christmas fruit cake with eggs so this year I thought of trying an Eggless version which tastes equally good as the Cake with eggs. I usually start soaking dry fruits for Christmas from the month of May so that I get good quality dry fruits I can add in my fruit cake during Christmas. 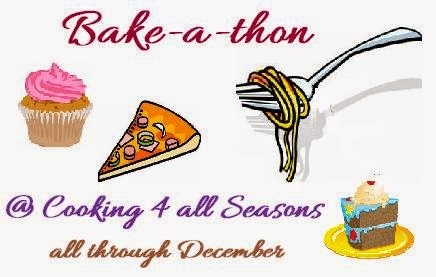 I usually bake my own cake and give my neighbours, friend and family during Christmas. The Joy we get after baking our own cake has no words to describe. Now let’s get started. 1. In a blender add in brown sugar ,Clove ,Cardamom ,cinnamon powder ,Nutmeg powder and blend everything well to form a fine powder . 2. Cream together the ground sugar and soft un-salted butter until well combined, to this add in hot milk. 3. Next add in Yogurt, Vanilla essence and beat everything together till it combines evenly. 4. Sieve together the flour, Baking powder, Baking soda and salt three times. Now in batches slowly fold together the dry ingredient and wet ingredients in batches. 5. Now comes the hero (dry fruits which are soaked in Rum for 6 months).Reserve two tbsp. of flour before mixing it with wet ingredents.toss the rum soaked fruits in the flour and then slowly fold the fruits along with the prepared cake batter. 6. Pout the cake mould in the greased and lined cake mould .Preheat the oven at 180 Deg C for about 10 mins and then bake at 180 Deg for about 45-50 mins or until a tooth pick when inserted comes out clean. Once baked allow the cake to cool down after that remove the cake from Cake pan and then remove the parchment paper from the bottom of the cake that is used for lining and the cool for another 6 hours before slicing. If you don’t wish to soak the dry fruits in Rum, Grape juice can be used. The more you soak the dry fruits the better the taste. I soaked it for 6 months. Overnight soaked or 1 week soaking can also be done. Any dry fruits can be used for soaking, I used Raisins blueberry, Black Currants, Tutti Frutti, Cranberry. Allow the cake to cool complexly before slicing. This cake is perfect for Xmas gifting. Looks fabulous, a slice of the inner view would have been even better..I too have the tradition of making fruit cakes during this season..should be baking soon..very nice and apt for the season! I love egg less cakes because I do not eat egg. Now i am hungry after looking at such a lovely colour cake. Wow !!! Looks very nice .... Happy Christmas !!! Wow, you soak your fruits starting in May? That sounds awesome, and I bet this cake tastes delicious! Thanks :) Waiting to see your version soon Priya!! wow!! you soaked the dry fruits for 6 months? Such an ultimate fruit cake, wish i get a super huge slice rite now. Delicious fruit cake. Love it. 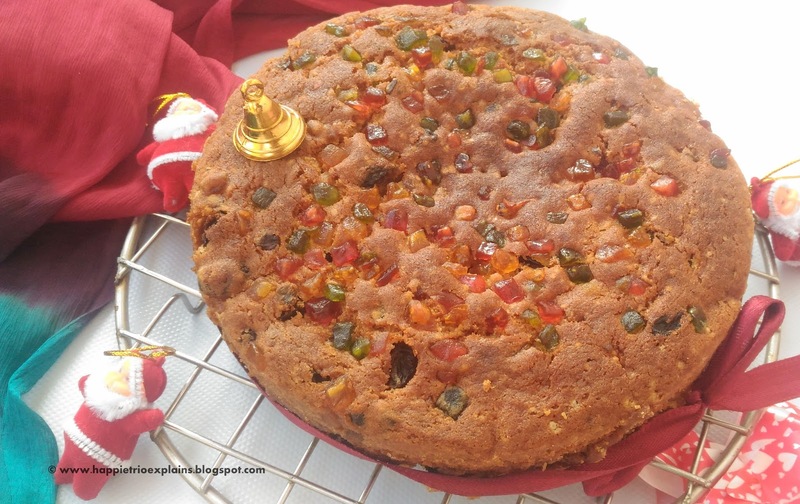 Eggless christmas cake looks wonderful and you do plan quite early for the Christmas cake!! :) With all that soaking, nuts must taste amazing in the cake. Your fruitcake looks absolutely stunning Sharmila. Quintessential cake for Christmas.